I grow all the flavoursome Alliums (Onion family). This includes garlic, leeks, onions and chives. You can swap them around in recipes and always have an ingredient to add flavour to whatever you’re cooking. If you haven’t grown them before, or are a beginner gardener, just follow the tips in this tutorial and give them a go! Spring Onions, Shallots and Scallions! OK – let’s get one thing straight first! 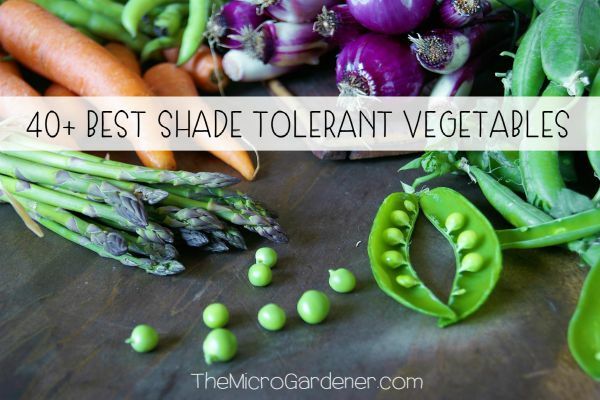 If you’re confused about the names of these vegetables, it’s not surprising as they often differ depending on where you live! 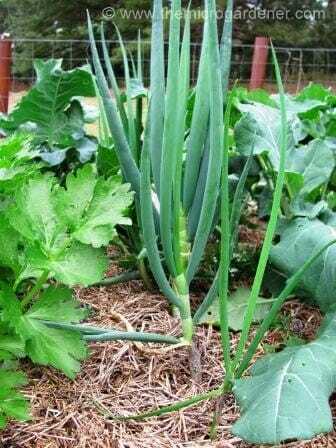 Names and varieties include spring onions and shallots (Australia), eschallots, salad onions, Japanese or Welsh bunching onions (these grow in clumps rather than singly), scallions (US), green onions (China) and Egyptian or tree onions (bulbets grow in clusters on top of the stems). Unless there’s a picture on your seed packet or catalogue, it’s often a case of wait-and-see what grows!! So to simplify things, some varieties have a small bulb at the end of the stalk and some don’t! You can eat these mini bulbs just like you would a normal onion. 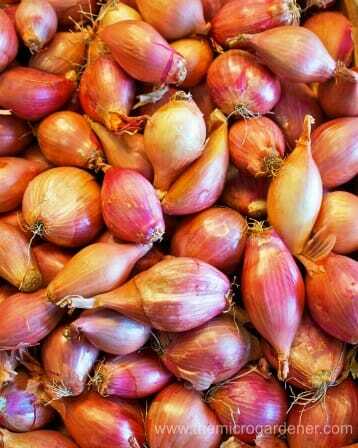 The flavour is not as intense as the much larger true onions (Allium cepa) that can be grown from seed or bulb, and can be stored. Spring onions (Allium fistulosum) don’t have a bulb. You grow spring onions from seed. ‘Allium’ means garlic in Latin and ‘fistulosum’ means hollow stemmed. There are also red stemmed ones that are both ornamental and taste wonderful. 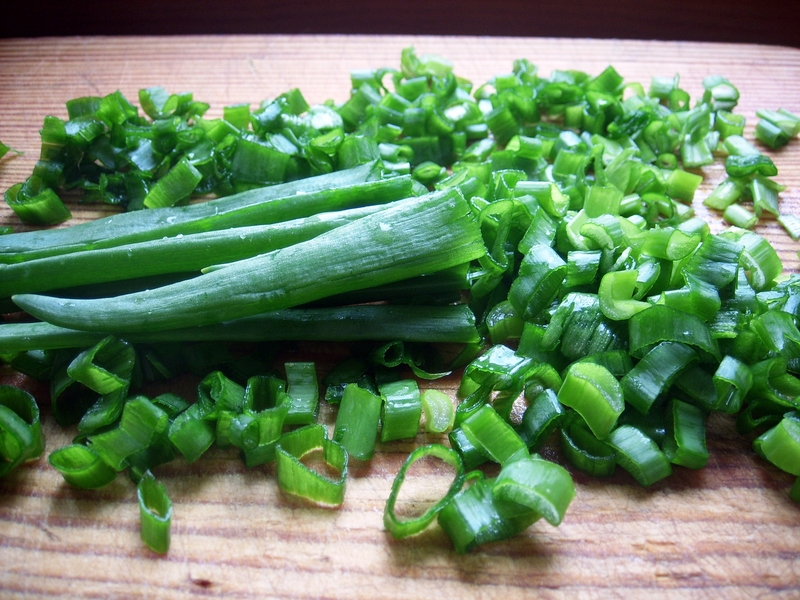 Bottom line is you can use the leaves of all spring onion cultivars to flavour your cooking. 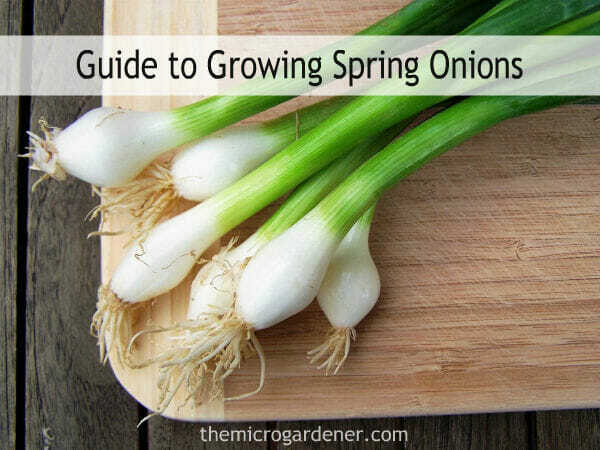 So, whatever you call them (I’m going to refer to them all as ‘spring onions’ to make life easy), they are a ‘must have’ addition to your kitchen. I simply can’t live without these delicious, handsome looking edibles. Flavour. There are a number of cultivars – from those with a very strong flavour to mild and sweet. You can’t go wrong with your choice – they’re ALL delish!! Space. One of the main reasons I grow these perennial vegetables is because they provide a high yield for the minimal space they need to grow. In the subtropics, they can be planted pretty much all year round. They grow equally well in containers as in the garden. Spring onions grow in a greenhouse in winter and even in water on your kitchen bench! Tall & skinny, they can be squeezed into all sorts of tight spaces like my Meals on Wheels planter! Height and Depth – Spring onions grow to about 30-50cm (12-20in) singly or in clumps, depending on which variety you grow. They have a very shallow root system so can be grown in even the smallest of pots. In just one polystyrene box garden, I squeezed in Garlic and Onion Chives, White Onions, Spring Onions & Welsh Bunching Onions! 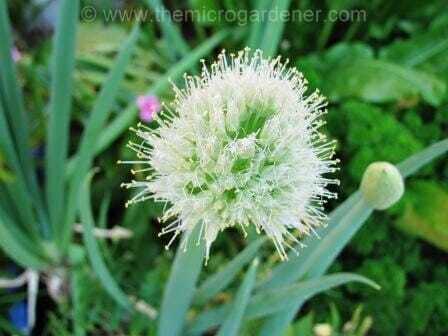 A perfect compact edible plant choice for micro gardens. Grow from Seed. This is dead easy! I save mine from previous crops by waiting until the flower head matures, then chopping it off and leaving in a paper bag until fully dry (about 2 weeks). Then simply shake the seeds into the bag, scoop them out and store in self-seal bags in a cool dry place. If you are buying seed, check my list of seed suppliers. Choose safe certified organic and non-hybrid seeds, so you can save your own seeds in future years and avoid chemically grown food. I sow seeds in home made seed raising mix to save money. Keep moist by misting with water and cover to maintain humidity. They germinate in about 2 weeks. 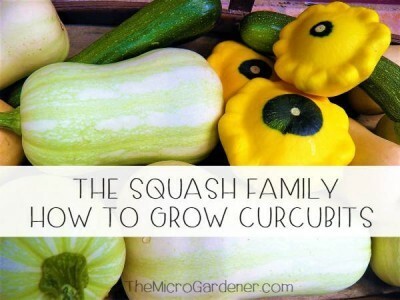 Transplant out when they are about 15cm high but you can also buy seedlings and plant out. I prepare the garden soil with a good handful of rock minerals, organic soil conditioner and water in well. Spring onions are grown for their edible stem. They are best sown during the New Moon or First Quarter phases. (See Moon Gardening to learn how to maximise your harvest by planting in harmony with nature’s rhythms). 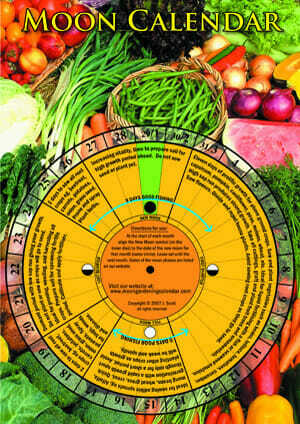 I use this simple Moon Calendar to sow at the optimum time of the month. The seeds germinate faster, plants are stronger, healthier & grow more quickly & I achieve higher yields for no extra effort other than planting at the right time. Choose a variety to suit your climate. 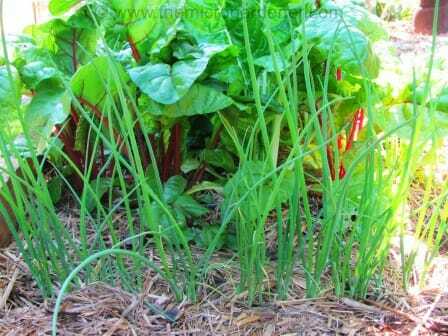 The cold-hardiest spring onion is Red Welsh, (the French call it Ciboule Commune Rouge). Benizone has violet coloured stalks and is also suited to cold areas. Beltsville Bunching will withstand hot and dry conditions more than most. 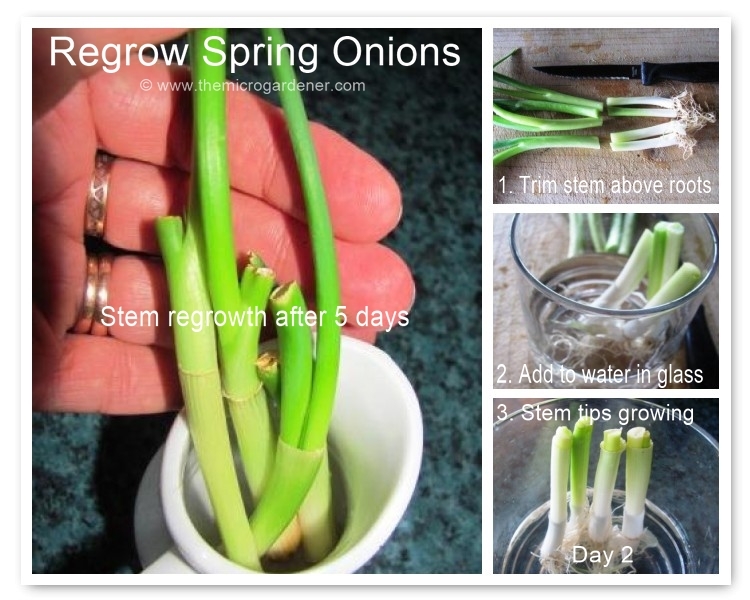 Succession plant spring onions every 3-4 weeks for a continual harvest during the year. 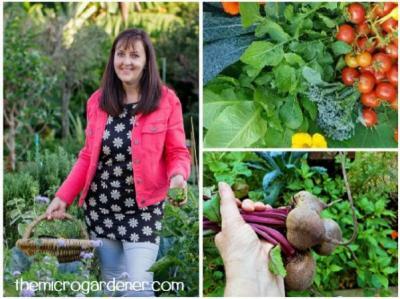 I sow spring onions and other varieties regularly for a continuous harvest all year – they only need minimal room in my garden so I tuck them into narrow spaces like in between these rainbow chard and some herbs. Sow 5mm (1/5in) deep, 5mm apart and about 15cm (6in) apart in rows. Up close and personal!! They take about 8-12 weeks to mature. Well-drained, humus-rich soil. Add compost or worm castings from your worm farm if you have one and ensure the soil is loose and friable. Soil pH 6-7. Add lime if your soil is too acidic or sulphur if too alkaline. [See my DIY potting mix recipe for details]. Regular watering, a sunny position and being grown quickly. A liquid fertiliser 2-3 times while growing. To keep the leaves green, I feed mine diluted seaweed, a weak worm juice made from diluting the liquid from my worm farm or a compost ‘tea’. Containers or in garden beds – even a small pot will be fine for these guys so long as you keep it moist. Being planted near peas and beans. Drying out and getting stressed. Cut your bought or home grown spring onions about 3cm (1in) above the root. Use the leaves in cooking and add the stem/roots to a glass with clean water to rehydrate roots. Change water daily & keep in a well lit position such as a windowsill or kitchen bench. Watch green leaves regrow. Snip as needed! Easy as that. If you are growing a bulb variety, be aware that snipping the leaves will deprive the bulb of the food it needs to grow to maturity! When bulb varieties start to flop over toward the soil, stop watering so the bulbs can dry out for a week or so before storing. Using a small fork, gently loosen the soil under the plant to harvest the bulbs. Brush off the soil and trim the roots. Hang the bulbs up in bunches until the leaf tops dry out completely. Then snip the leaves off above the bulb and store in a cool, dark and dry spot. This can extend your harvest for months! Container grown spring onions may need more frequent watering. Use a quality potting mix that retains moisture. Use a moisture meter to check whether you need to water. Keep picking the outer leaves so new ones grow in the centre. 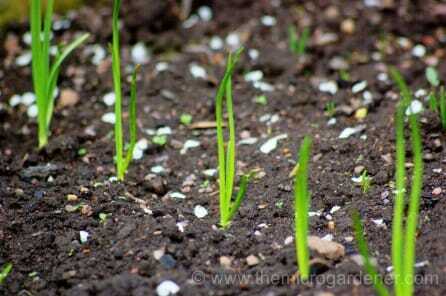 Propagation by Division – If growing a bulb variety, you can divide clumps most easily during winter. Slice off individual plants (including the bulb and root) by using a downward motion with a sharp knife through the clump and loosening them apart. Once separated, trim the top and roots before you transplant. Uses – I pop them in as a companion plant to deter pests all over my garden. As they are members of the Liliaceae family, you can expect stunning, showy flower heads too which not only brighten up the garden but provide you with free seed! Start snipping leaves with scissors when they are tall, green and healthy looking. 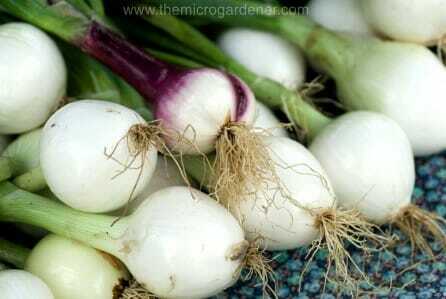 Depending on which variety you grow, they may develop a small white or brown bulb below the green leaves. If it gets too cold where you live, harvest the whole plant and regrow them in a glass of water. 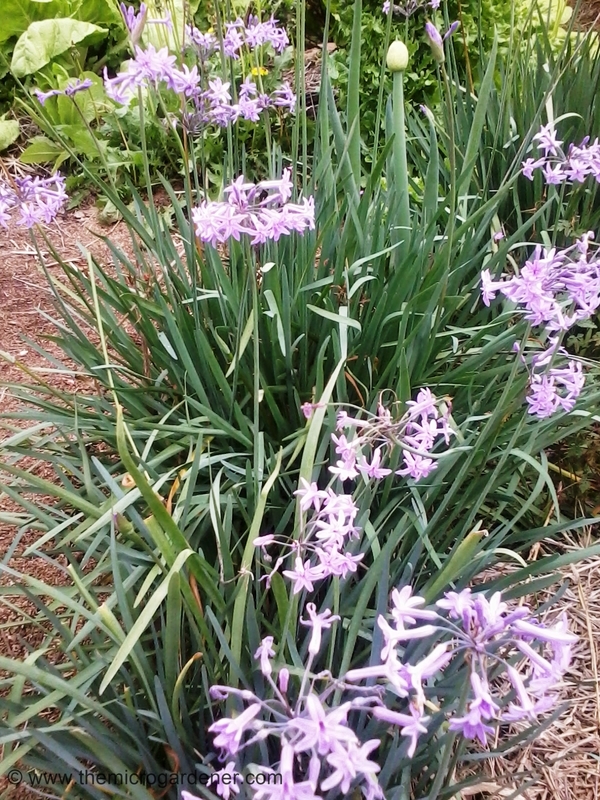 If you leave the flowers on the stalks to mature, the seeds will develop and you can then save for planting future crops. Spring onions don’t store for long in the fridge so wrap in plastic. I prefer to harvest as needed straight from the garden. Whilst you can pull up the entire plant, I think this is a wicked waste! If I need a whole plant, I use a sharp knife to cut the spring onion just above the roots leaving about 3cm (1 in) stem in the ground. Then I water in with seaweed and watch it regrow! I snip the outer leaf of alternate plants, which encourages more growth and allows each plant to recover and thicken up at the base. Snip flower stalks off if you want the plant to keep producing leaves. Or allow the edible flowers to grow and harvest them for use in salads, stir fries or as garnishes. 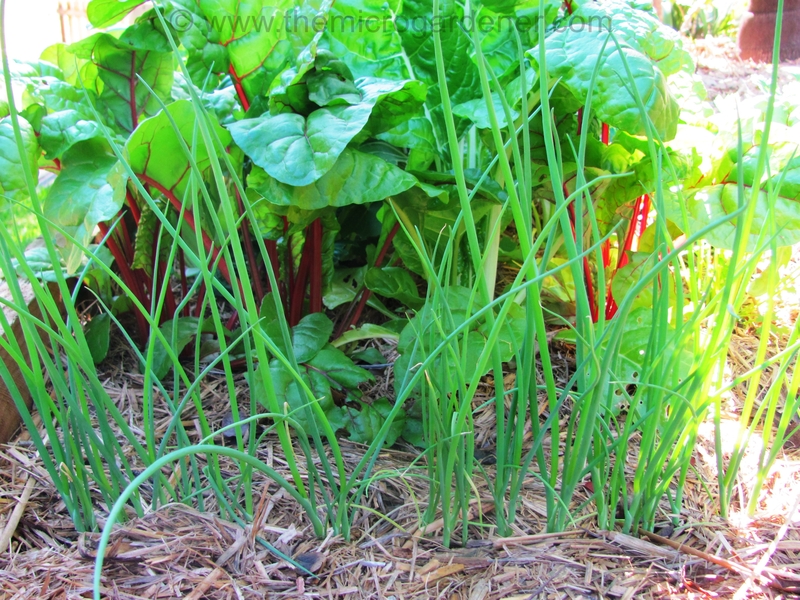 Flowering spring onions & garlic chives make an attractive edible border that can be divided over and over to grow new plants. Sometimes I’ve left my spring onions in the garden so long, they become as large and thick as leeks! They still have the hollow stem so are great for soups and stock. According to the Seed Savers’ Handbook, spring onions can be obtained by harvesting an early variety of white-bulbed onion at a very immature stage. 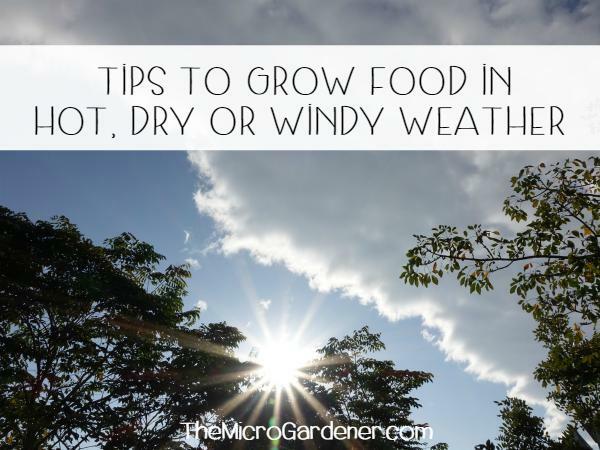 Seeds will last 1-2 years if stored in a cool, dry place. 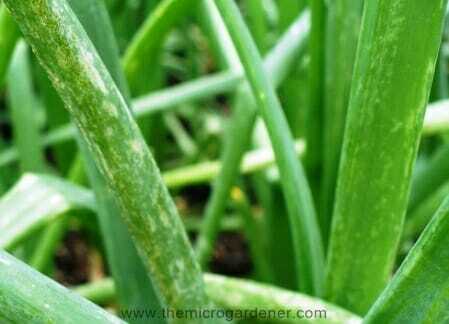 When you grow spring onions, thrips are the main pest to watch for. These small sucking insects are active in the warmer months and most common in dry weather. Check the centre of the plant periodically. Make sure your plants are moist to avoid potential problems. They cause white, silver or grey blotches on the leaves and the tiny thrips tend to attack new leaves as they emerge. Sow seeds between carrots to deter carrot fly. are high in sulphur so help purify the blood, clear the skin, cleanse the liver and build the immune system. The more mature the plant, the stronger the flavour so if you want a mild onion taste, choose young slender leaves. Taste delicious raw when they are at their most nutritious. 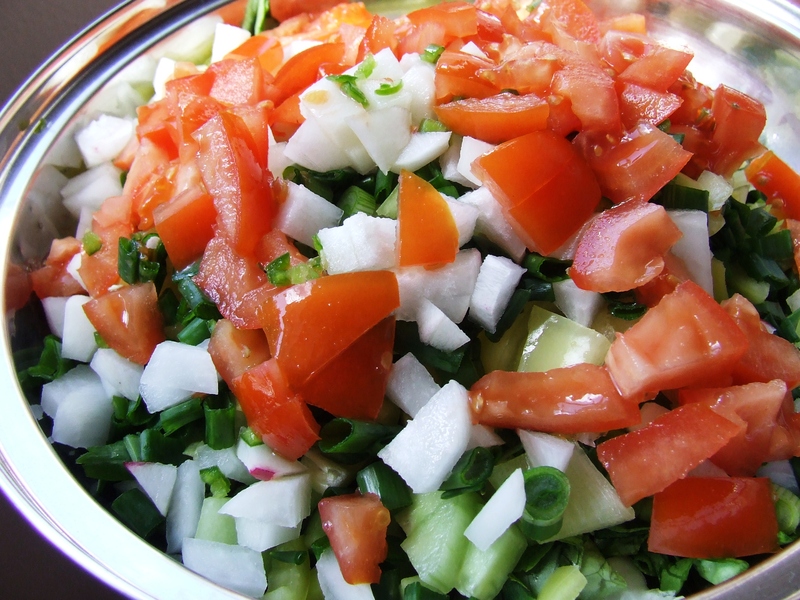 Use both the green tops and the white or brown bulb sliced in salads, salsas, omelettes, pancakes, dips, curries, chutney, stir fries and fish dishes. Shred the green tops and use as a garnish. Flavour soups, casseroles, rice, noodles, vegetables, pasta, or egg, cheese and Asian dishes. Try these delicious recipes for inspiration or my salsa for something quick and fresh! This is a family favourite I make – it’s quick, easy to prepare & can be made from fresh ingredients from your garden with herbs you have in season. In a medium sized bowl, stir together ingredients gently with a spoon to combine. Set aside in the fridge to chill for about 1 hour to allow the flavours to develop. Serve on crusty sourdough bread, with corn chips (GMO free!) or as a side dish to accompany curries, Mexican dishes, omelettes or your favourite meal! Variations: Add 1 chopped avocado, lebanese cucumber, a chilli or feta cubes. I’d love to hear what you do with this wonderful food plant so please share your ideas, tips and recipes! I’m new to your website and newsletter. I am very interested in obtaining Spring Onion seeds, but I don’t know what they’re called. None of the seed companies I know of list them as Spring Onions. Is there another name for them? I’m interested in the white ones. Which seed company can I contact for these marvelous onions. They’re the only ones I can eat that do not cause me stomach distress. They taste so divine. Thanks for any assistance you can provide me. There are a few names listed in the article. 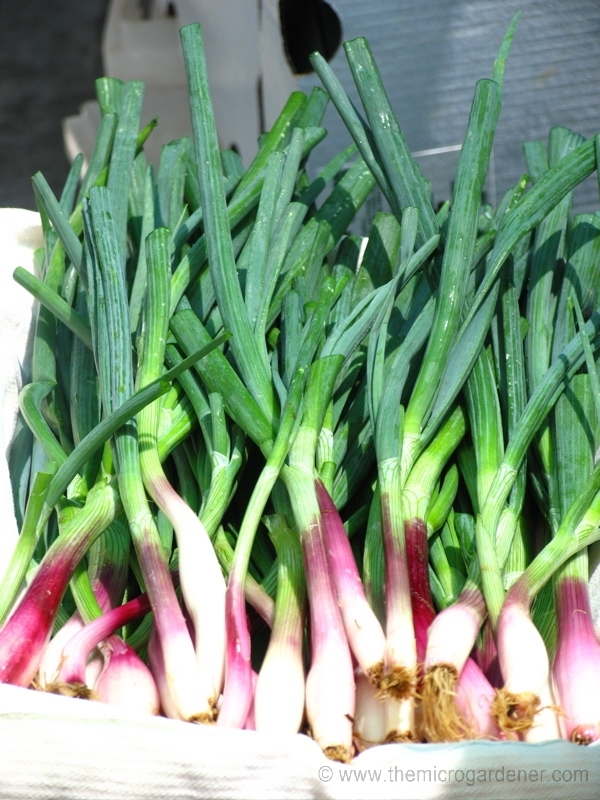 Names and varieties include spring onions and shallots (Australia), eschallots, salad onions, Japanese or Welsh bunching onions (these grow in clumps rather than singly), scallions (US), green onions (China) and Egyptian or tree onions (bulbets grow in clusters on top of the stems). It all depends on which country you live in as to what name they are referred to as. That should help. Otherwise try the links in the article to seeds via Amazon. We’re doing a science project using spring onions this article has been very useful to us. We do need the date of publication of this post to give you the credit, however. So we were wondering if you could give us the date. Thank you so much! Hi Jonathan. This post was first published November 27, 2012. It has been updated many times since then! Please check my Copyright page for more details on giving credit. Happy to help Juliet. All these leafy greens need a compost rich soil to get enough nitrogen. You may find making your own potting mix will help if your soil is poor. Can you use the stems/shoots of other onions like red onions as you would spring onions in cooking? Hi you don’t mention where you live so this is a bit tricky! You may be referring to perennial clumping spring onion varieties such as Welsh. Search for “perennial” in your location and you’ll likely find an heirloom seed variety suitable to grow all year around. Thanks Anne, i have bookmarked link, and will look into it, 🙂 Mike. Great to hear you’re enjoying a healthier diet with fresh vegies. I am not a nutritionist but I try to be moderate in all things and get a balance of a wide variety of foods. Have fun with your indoor garden. 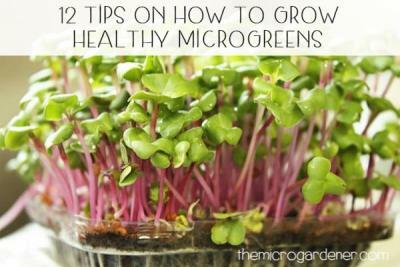 You may like to try growing some of your favourite vegies and herbs as microgreens too. Thanks Ken – would love to hear what works for you. You’re welcome to send pics and feedback any time. Or post on our community Facebook page. Wonderful post planning to grow the spring onions now. Have sown few seeds but leaves that have come out are very thin and short ones and have stopped growing beyond 5 to 6 inches need to try again. I had read your post on growing Peas where you mentioned they dislike being grown near garlic/onions. Wanted to share my experience, i planted 3 peas in a small container and tried training them up the window grill. The creeper would refuse to stick to it though it was throwing out tendrils, it was moving closer to Garlic planted in a small container by the side and it finally wrapped itself round the garlic plant. I had to move it out and have now tied the creeper with thread to keep it n position. I think my spring onions might have Thrips – where the plant meets the soils there are loads of tiny insects scurrying around. How do I get rid of these please? 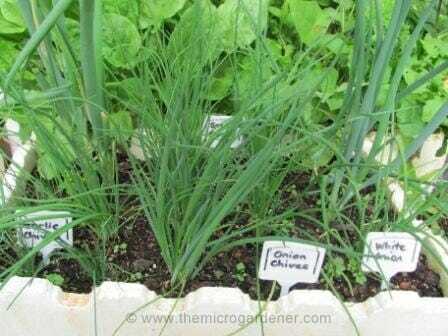 All spring onion in the same planter are affected. 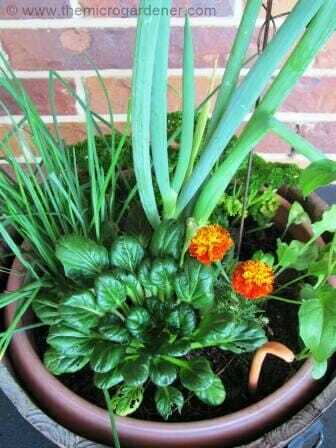 When you bring your spring onion or lettuce in from the garden place them in water and add a piece off coal it will bring them to life. Try this you will be surprised. Thanks for the tip Frank. Will check this out! Thanks for your feedback as always. Lucky you with wild garlic. How wonderful. I checked the Green Harvest catalogue for Alliums and seems there’s no problem with sending onion seed to Tassie. The ‘Long Tropea Red’ is an Italian heirloom variety with torpedo-shaped bulbs, quite long (15cm) and of course red skin, suited to eating raw in salads as it’s quite mild and suits Tasmania. Recommended to sow this variety in your region around July but try the spring onions too as they grow all year. You may be able to pick up a bunch locally and regrow from their roots, then allow some to flower and save your own seeds.